A fascinating story on the BBC news website would have us believe that the “fate” (a strange word in this context as etymologically it derives from Latin fatum ‘that which has been spoken’ and has, consequently, supernatural connotations) of the universe has been revealed by scientists “looking” (of course remember this looking is mathematical!) at a cluster of galaxies known as Abell 1689. The prediction (for that is what it is, however sound the mathematics behind it may be) is that the universe will probably continue to expand exponentially and indefinitely. Of course, this is not entirely new: in 1998 some research was done and published in the journal Science which showed something similar. But here the kind of evidence is different; according to the BBC the role of so-called “dark matter” is the vital component in the most recent study. 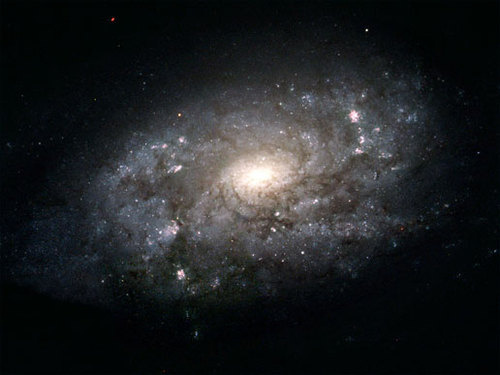 Using the Very Large Telescope scientists calculated the distance of light and the amount of distortion caused to it by Abell 1689; that left the third factor, the “dark matter” to fill in the gap. Apparently knowing the distribution of “dark matter” enabled the cosmologists to do some maths and decided that the universe will “go on forever”. Now, who wishes to dispute natural science? Not me, for sure. I am no scientist, but I like to take a scientific view of things because I happen to believe the modern sciences are highly useful at revealing things about nature and assisting man on his way to the truth. However, I begin to feel uncomfortable when science becomes a sort of “sooth-sayer”. I am not arguing about the evidence: I haven’t seen it and even if I had would not properly understand it. But science can never say what will happen because it relies on the present evidence. It can only say how things are, and what is likely or unlikely based upon its understanding of what is happening (or observable – I am aware that the what is observed at galactic distances is subject to somewhat different conditions!) now. Some more evidence may come to light which will alter entirely the current understanding. One only needs to think of the leap from Aristotelean to modern physics to know that. And, of course, I believe that Christ has redeemed the universe, his creation, and however it ends, he has not acted in vain.